interested in having us manage a property?a current property owner client?interested in renting from us?a current tenant?a real estate agent? Wear and tear are a reality that all property owners have to face as it is a huge part in real estate investing. 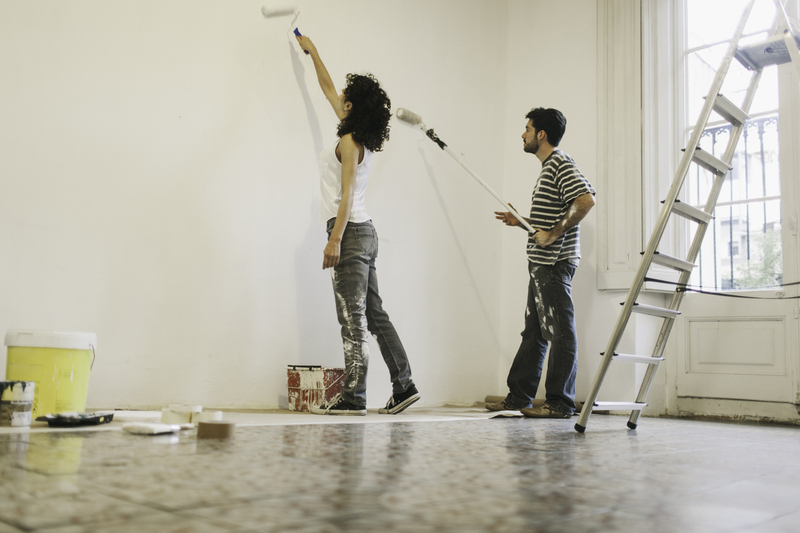 As a Fresno property owner, you have to understand that wear and tear is not unusual, from paint that needs to be updated every few years to carpets that need to be replaced. These ordinary maintenance tasks are all part of anticipating an inevitable degree of wear and tear. Keeping that in mind, there are a few things you can do to reduce the amount of wear and tear that will happen to your rental property. Some of these simple steps include utilizing durable materials, maintaining a good working relationship with your tenants, and performing regular property evaluations. Choosing quality materials is key to reducing the speed of deterioration on a rental home’s amenities or the need for some items to be replaced. Some landlords opt for cheaper materials, but the truth is that although it may look like the best route to save on cost, it will end up costing you more. Cheap materials degrade faster, look shabby more quickly, and simply won’t stand up to heavy or even moderate wear. When dealing with matters relating to paint, carpet, flooring, light fixtures, and appliances, it’s also critical that you opt for quality materials that can take a beating and keep going strong. Although that does not mean that you need to choose the expensive ones, but we weary when choosing the cheaper options. Being wise enough to select the suitable materials for the amount of wear you forecast can make a huge difference when it comes to future replacement costs. A critical factor in lessening wear and tear on your rental properties is maintaining a good working relationship with your tenant. Tenants that are in good relationships with their landlords are more than willing to help you in making sure your Fresno rental property is kept in good condition. They are also more likely to assist you in identifying issues when they arise. This will let you resolve any problems earlier, meaning saving you expensive repairs because of issues that got worse because of delayed response to a simple repair problem. Selecting the right renter is important, but so is developing a relationship of shared respect. That may mean going beyond simple service calls and reaching out to check on your tenants from time to time. If the only contact they have with you is when something goes wrong, they may start to connect you with problems and hesitate to proactively reach out for assistance. It’s important not to undervalue the importance of regular property evaluations. They are an important part not only of property maintenance but of tenant relationships as well. While it’s true that this can be a meaningful investment of your time, you can always hire Real Property Management Platinum to work with you as a team to keep your tenants comfortable and your rental property in good condition. Would you like to learn more about our property management services in Fresno? Please contact us or call us at 559-324-9400 for more information.